340'3" by 38'5" by 19'4"
The modified As were based on the I-12 (A2). They were very large submarines capable of carrying two seaplanes each. The boats also had an anechoic coating of synthetic rubber mixed with sand with a thin plastic covering and were equipped with snorkels. 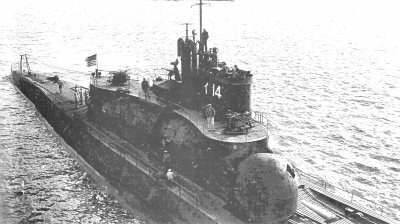 The submarines were modified specifically to reinforce the Sen-toku class submarines in their strike against the Panama Canal. We list here only those units that were completed before the surrender. Two additional units were laid down but not completed and three more units ordered but never laid down.